This Tug N Slide Tower-Caitec/Paradise is for the "tough guys" (or gals!) - made of polycarbonate and fashioned with 3 top chambers - once food and/or treats reach the bottom, your bird must pull down on the leather strap to release the goodies. This toy is especially good for birds that need a real challenge! 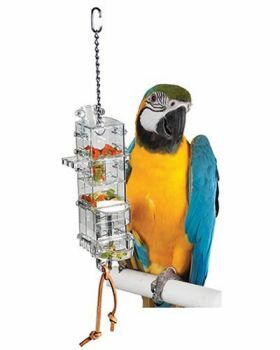 Notify me when Tug N Slide Tower-Caitec/Paradise is in stock.